Applies to: SQL Server 2012, SQL Server 2014. 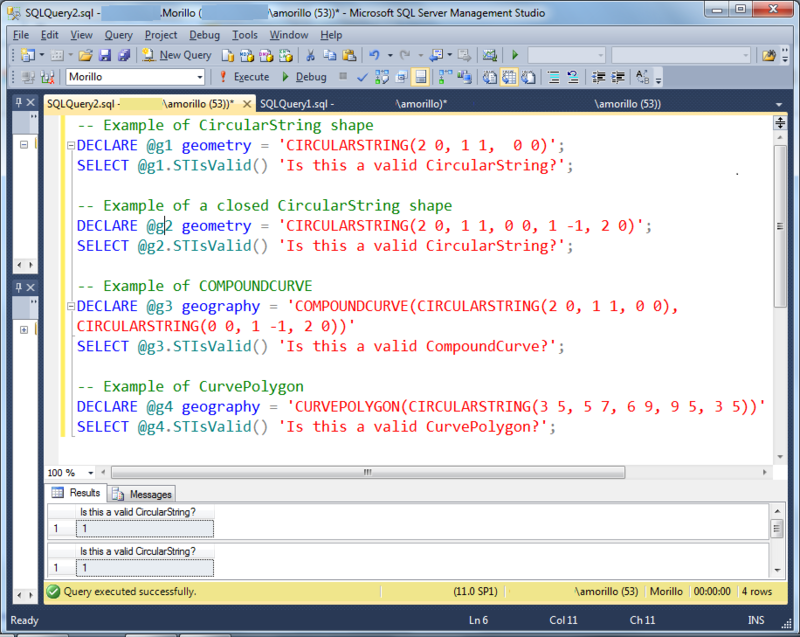 SQL Server 2012 introduced 3 new spatial shapes: CircularString, CompoundCurve and CurvePolygon. A CircularString is a shape formed by one or more circular arc segments. A circular arc segment is formed of at least 3 points. A CompoundCurve is a curved shape formed of one or more circulastrings or linestrings sections. A CurvePolygon is a closed surface formed by a closed line, which can be created using a CircularString or a CompoundCurve.